ICE enforces federal laws governing border control, customs, trade and immigration to promote homeland security and public safety. Episode #5: What's it like to be a special agent with HSI? During this episode of Careers at ICE, hear from Special Agent Allison Carter Anderson and Special Agent Cory Downs, who will discuss what it's like to be a Special Agent with ICE's Homeland Security Investigations, or HSI. Episode #4: What's it like to be a deportation officer with ERO? During this episode of Careers at ICE, hear from Deportation Officer Ayeisha Ramirez and Supervisory Detention and Deportation Officer Christian Rodriguez, who talk about what it’s like to be a deportation officer with ICE’s Enforcement and Removal Operations. During this episode, hear from ICE Academy instructors Frank Unger, Enforcement and Removal Operations and Todd Rignel, Homeland Security Investigations. They answer questions about the physical and mental challenges of preparing for training at the Academy and a federal law enforcement career. 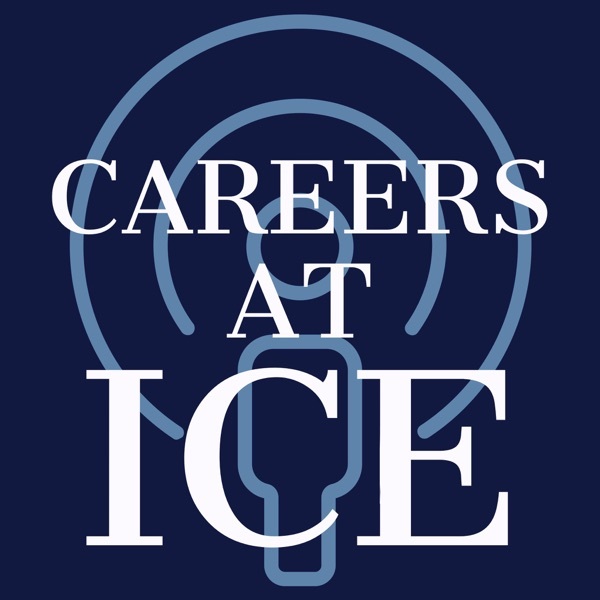 During the inaugural episode of Careers at ICE, Joe Arata, Chief of National Employee Recruitment and Retention for ICE, discusses the various career options at ICE and practical information about the application and hiring process.